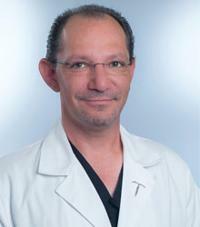 Dr. Hobday is a benign gynecologist in the department of Obstetrics and Gynecology at Houston Methodist Hospital. He received his Bachelor of Science degree in Biology in 1994 and Bachelor of Science degree in Chemistry in 1995 from the University of Texas at Dallas. He received his medical degree from the University of North Carolina at Chapel Hill in 2002. After completion of medical school, Dr. Hobday completed his residency training in obstetrics and gynecology at the University of Texas at Houston. During his residency, Dr. Hobday was named Intern of the Year in 2003, featured in a Houston Chronicle article 'Day in the Life of a Resident' in 2003 and elected Chief Resident in his final year of residency. After completing residency training, Dr. Hobday joined Houston Methodist Hospital in 2008. Dr. Hobday is active in resident education and is the Site Coordinator for rotating OB/GYN residents at Houston Methodist Hospital. His clinical interests include abnormal uterine bleeding and fibroids, cervical dysplasia, adnexal masses, adolescent OB/GYN, and minimally invasive surgery (both conventional and minimally invasive daVinci(TM) system).